Task2Bill is the only tool that comprises end-to-end functionalities to simplify your project tasks through flexible steps and reduces the need for multiple systems to manage your business. 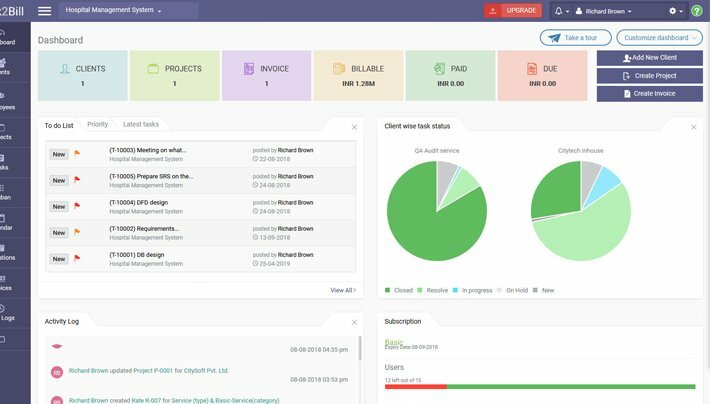 Task2Bill helps you run your business efficiently by providing better Resource utilization, Project Management, Timesheet tracking, Quote generation, Invoicing and Online Payments. 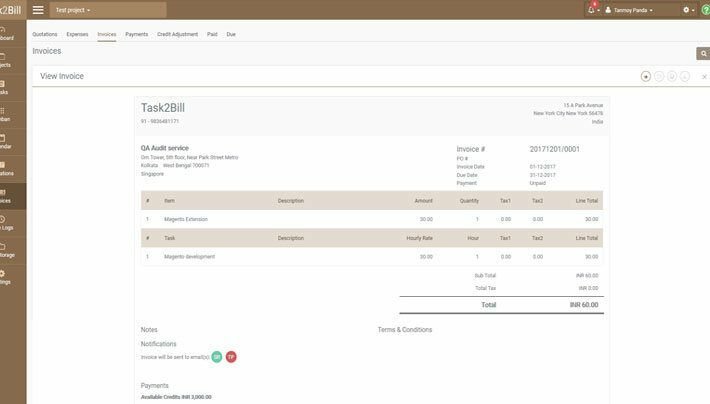 Task2Bill is the only tool that has end-to-end functionality that links your project and resources with invoicing. It converts your tasks into invoicing in simple steps and reduces need for multiple systems to manage your business. Available on cloud and accessible on any device, Task2Bill helps you manage all your projects in one place. Your clients and their teams can log-in to collaborate with your resources on projects and tasks. 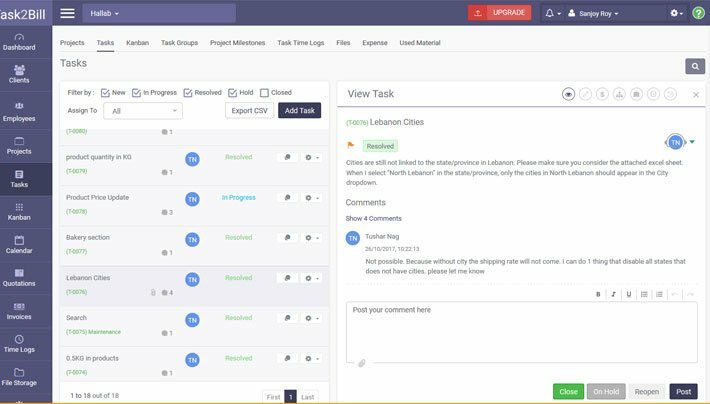 Divide the projects into multiple smaller tasks, assign tasks to different team members and track their progress. Use Kanban Boards to prioritize activities. Link all the tasks to relevant milestones. You can put milestone description, reminders and track their completion. 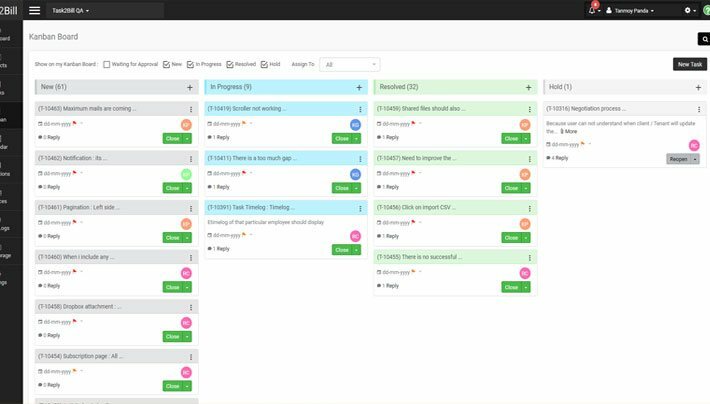 Keep all project related communication in one place along with all the files and project collaterals. Keep easy track of the time spent on each task. You can record task start and end times, and allocate tasks as billable or non-billable. Generate invoices for all the billable tasks and materials. You can set hourly rates, link with POs, add expenses, and manage paid and unpaid invoices. Task2Bill supports multi-currency and different VAT systems. You can seamlessly integrate Task2Bill with all your favorite apps including the Google Calendar, Outlook Calendar, Google Drive, Dropbox, Box, Quickbook and Slack, to extend the usability. Get the latest news and updates of Task2Bill by subscribing to our newsletter. Submit your email and we will get in touch with you.